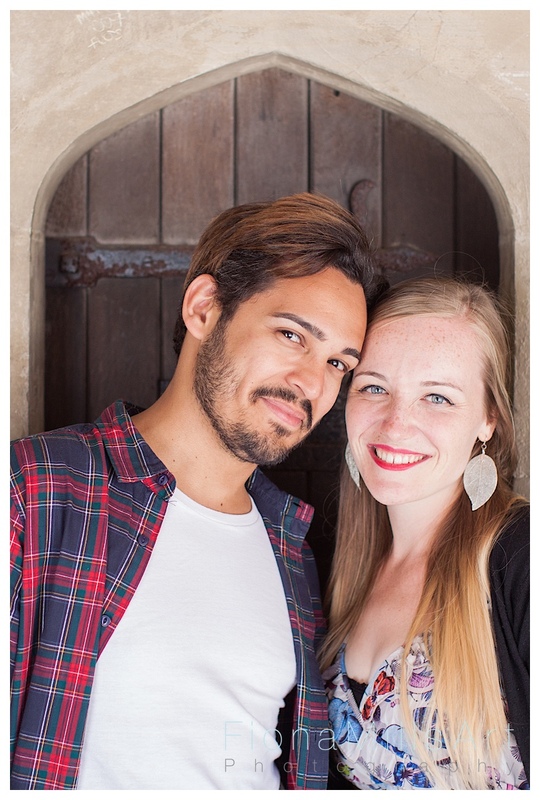 In the normal timeline of events, having your Engagement Shoot just 5 days before the wedding is pushing it, but with this transatlantic couple it was the only way! Jess and Sòstenes met on soil foreign to both of them. She is English, he Brazillian. They both live in Portugal but were coming back to Bognor Regis for their wedding. We had booked in a morning to do a location recce and capture some shots of them together to practice their pouts and posing for their big day. 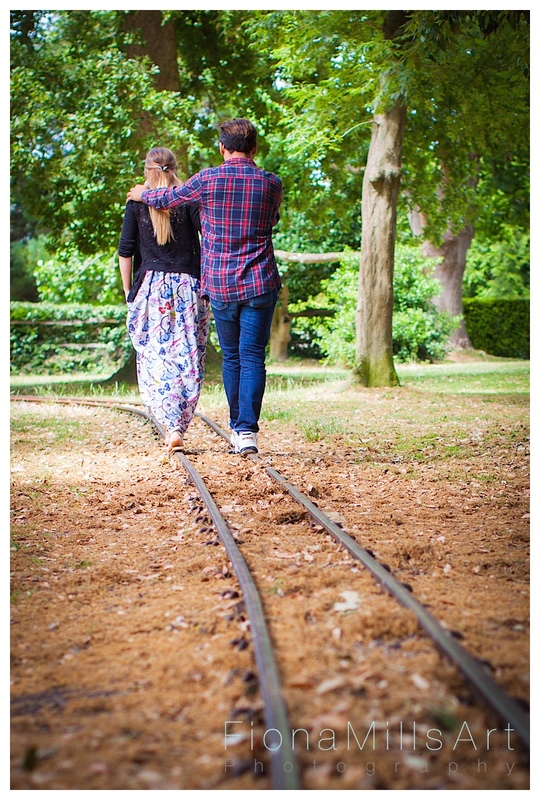 The Engagement Portrait Photography Shoot spanned Chichester Cathedral, Bishops Palace Gardens and somewhere a little closer to home, Hotham Park. Jess and Sòstenes have a wonderful combination of characters; Responsible, flamboyant, expressive, fantastical, fun and generous. 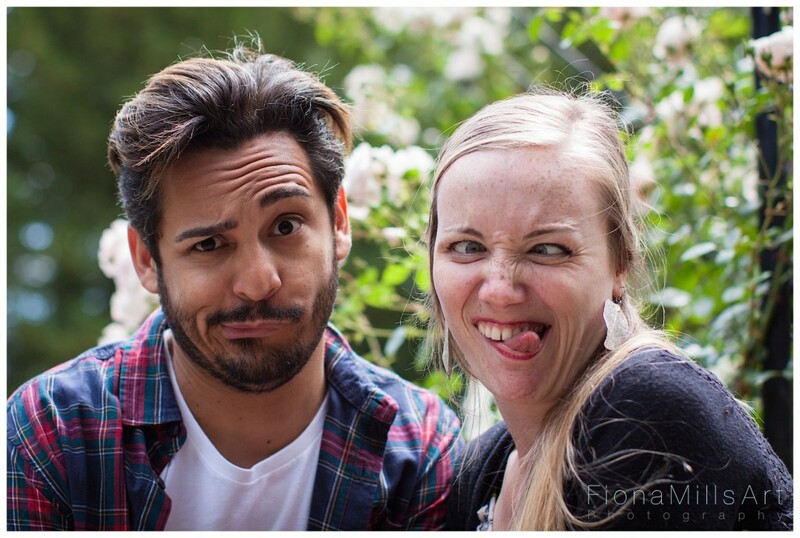 I cannot wait to see these characters combine to create, what I truly believe, will be a unique, colourful and expressive wedding! Jess really wanted to incorporate some comforts of home into her wedding day so off we headed to the beautiful grounds of Chichester Cathedral for the first leg of the Engagement Shoot. The Cathedral and its grounds will be a fantastic setting for the fairytail wedding that is being organised. 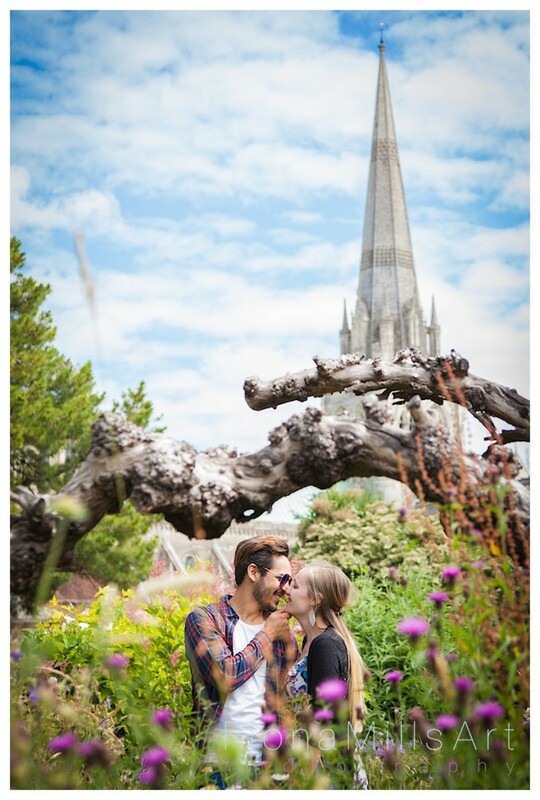 With the dramatic, gothic architecture of the Cloisters and the soft and colourful secret gardens leading towards the beautifully landscaped Bishops Palace Gardens we will certainly be spoilt for choice for portrait opportunities! 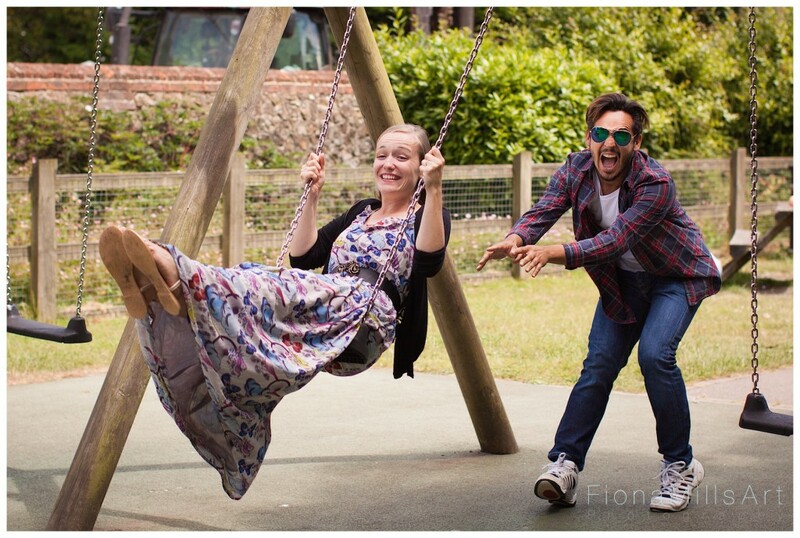 To bring things closer to home, Hotham Park will provide a simple and accessible backdrop for some family group shots….however, for the purpose of this visit a little more childlike fun was enjoyed (as you can see from the lower images!)!! 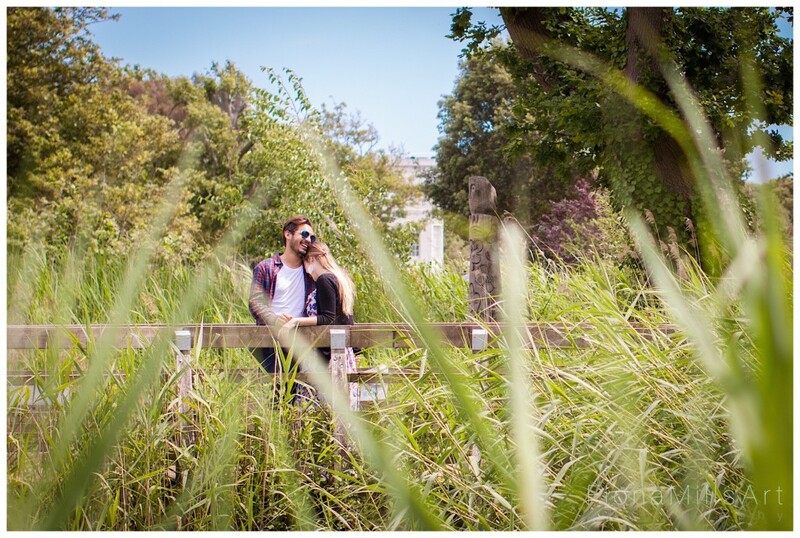 I cannot wait for their wedding on Saturday, the colour, the themes, the love and the marriage that will be combined to create a flamboyant, fun and emotional day….I’m hedging my bets on Sòstenes being the first to shed a tear! !